No political support for Erdoğan’s reactionary government! Mass resistance to the coup on Friday night, 15 June. Not just AKP supporters. The Incirlik Air Base in southern Turkey is still without grid power at the time of writing (22 July) since the coup attempt on the 15th. CCN reported “several US defence officials” saying that the military were doing “prudent planning” in case it needs to move its anti-ISIS operations from the base. The base commander Gen. Bekir Ercan Van and several pilots who were actively involved in the coup were arrested. This gives credence to claims that the US were actively involved in the coup. Erdoğan had to circle Ataturk airport for two hours before landing, the parliament was bombed as was Erdoğan’s holiday resort hotel in Marmaris, which he had just evacuated. There were popular celebrations by the masses as the news of the attempted coup in Turkey spread in cities controlled by Assad. These were spontaneous outburst at the hoped-for end of a government which has supplied all their enemies, including ISIS until recently, with all the weapons and fighters that could cross the border that had inflicted such death and destruction on their communities. Also lending urgency to the CIA/coup plotters was the knowledge that the long proclaimed imminent fall of Aleppo, Syria’s largest city, is at hand. The Castello highway, the last supply route from Turkey into the city for the rebels, has been cut since 7 July in Assad’s Northern Aleppo Offensive which began in June 2016 involving some 40,000 troops. Significantly it was cut in cooperation between Russian bombing, government troops from the south and by Kurdish Peoples Protection Units (YPG) forces from the north. Only a 60 mile stretch of the Syrian-Turkish border between Afrin and Kobane now remains in Turkish hands. Turkey is vehemently opposed to members of the YPG crossing west of the Euphrates river fearing they will link up the two Kurdish cantons around Kobane in the east and Afrin (Efrin) in the west in their fight against the Islamic State (ISIS). Although The Syrian Democratic Forces (SDF) have crossed the Euphrates they have asserted that only the non-Kurdish elements of the alliance; the Arab, Assyrian, Armenian, Turkmen and Circassian militias have crossed and that the YPG have not. Turkey has been bombed several time now by ISIS, the most recent was Istanbul’s Atatürk airport on 29 June which took 41 lives, in revenge for Turkey’s volte face in supporting the US attacks on them in Iraq and Syria. So stopping supplies to ISIS is now more acceptable to Erdoğan (though he still supplies his other Syrian ‘rebel’ allies); he has allowed several breaches of his ‘red line’, the Euphrates. 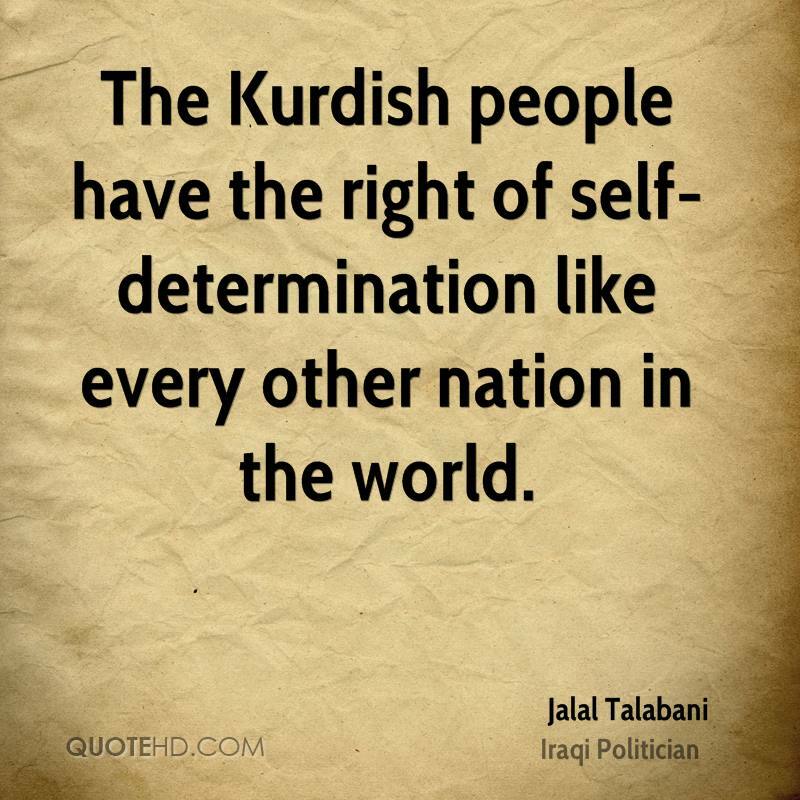 But any real attempt to join the two Kurdish cantons would surely meet with immediate military intervention. The SDF is 60% YPG/Kurdish and claims to be fighting to create a secular, democratic and federal Syria, similar to the PKK’s stated goals for Turkey. Erdoğan’s proposed alliance with Assad is undoubtedly aimed at a joint assault on the YPG in Rojova as soon as the other non-ISIS rebels are defeated, which may come very quickly now. So a large part of the motivation for the coup was to prevent the Turkish/Russian/Assad front developing. Just as important were domestic counter-revolutionary considerations, equally held by both the Army and Erdoğan, to prevent the marrying of the struggles of the western Turkish working class and oppressed with the Kurdish struggle in the south east for self-determination as signified in the emergence of the People’s Democratic Party (HDP) in the elections in 2015, as we discuss below. Israel apparently has bought into the plan as its concern in the region is always to ensure that no regional power gains hegemony and so becomes able to threaten Israel itself. Currently its target is Iran, allowing Turkey to became a stronger power in order to counter that seems to be their game for now. Israel is not simply the US dog’s tail. The paramilitary Special Operations Police force under the control of the ministry of interior was strengthened to such a degree that the government believed it would be able to fend off an insurrection and if necessary challenge the military. They had been battle-hardened by their role in the Kurdish campaign side by side with the commando forces of the gendarmerie. The Special Forces Command was created within the army as a brigade of highly skilled, well equipped and mobile solders detached from the chief of staff. In that way they were able to operate independently of other main branches of the armed forces. The SOP and SFC were based near Ankara, the capital, within self-sufficient compounds, and in numbers believed to be sufficient to meet any contingencies. The intelligence services were also separated into military and police units, and each was run under the close supervision of the government itself. The traditional control of the national intelligence agency by the military was broken, and a civilian management team occupied the top positions. Great emphasis was placed on developing signal and image intelligence capabilities independent of the US, and in 2011 military-dominated signal intelligence was placed under the control of the national intelligence agency . Esen tells us that then “Erdogan distanced himself from the Gülen movement and started to demonise them. He sought support from the military top brass by letting them loose on the Kurds, and reversing the previous policy of seeking a solution to the ‘Kurdish problem’ through negotiations”. Was the Suruç bombing on 20 July, which killed 33 young PKK socialist destined for Kobane, not the immediate cause? ISIS sent a message to Erdoğan that he needed to halt assistance to the Syrian Kurds from the PKK and he responded. 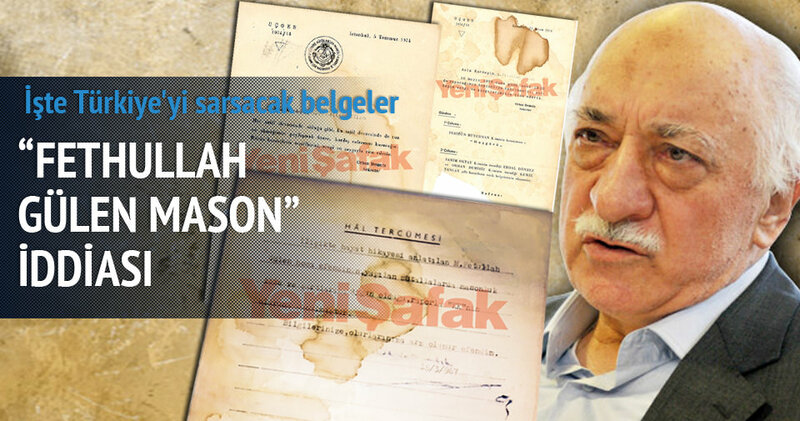 Was the attack on Gülen and the sudden reversal of the policy of seeking rapprochement with the Öcalan and the PKK really part of a struggle within the state? Operation Martyr Yalçın began on 24 July and it was surely due to Erdoğan’s increasing concern about the success of the YPG in Syria with the backing of the US. The targets were overwhelmingly PKK strongholds, very few ISIS positions were hit. But the tables have now been turned and he has to seek a new ally in Assad against the Kurds, calculating that it is no longer possible to ally with the ISIS. Remember this is the land of ancient Byzantine intrigues and modern Turkish politics fully lives up to that heritage. The quote by General Çevik Bir in 1997 above shows that the 1926 Atatürk attitude of religious intolerance and repression lives on in Turkey. And that reactionary religious antimodernism is partially behind the rise of Erdoğan’s AKP, which the coups of 1960, 1971, 1980 and 1997 strove to crush. That they also, and even more viciously, crushed the workers’ movement more effectively than the religious Islamists could is an apparent contradiction which we will now strive to explain. In fact, the contempt of the Stalinist-led left has for the religious sensitives of the Turkish peasant and newly urbanised workers post WWII is one of the central political obstacle to socialist revolution. ‘The Bolsheviks viewed the extreme oppression of women as an indicator of the primitive level of the whole society, but their approach was based on materialism, not moralism. They understood that the fact that women were veiled and caged, bought and sold, was but the surface of the problem. Kalym (the bride price – GD) was not some sinister plot against womankind, but the institution which was central to the organisation of production, integrally connected to land and water rights. Payment of Kalym, often by the whole clan over a long period of time, committed those involved to an elaborate system of debt, duties and loyalties which ultimately led to participation in the private armies of the local beys (landowners and wholesale merchants). All commitments were thus backed up with the threat of feuds and blood vengeance. “Moreover they attempted to impose the ‘revolution’ from above in such a bureaucratic, heavy handed fashions that it stood no chance. They rode rough-shod over tribal customs and religious sensitivities and prejudices alike. For examples they granted land to the landless peasants without the provision of bank credit to fertilise it or buy seed. In consequence the peasants were forced back to the very landlords who had been expropriated when it was presented to the peasants by the ‘revolution’ in the first place. In many cases they had to accept the most humiliating terms and punishments from these reactionaries, including self- mutilations, for their ‘anti-Islamic actions’. The child of Islam and democracy had become very ill again and was in desperate need of the blood-purge medicine to be administered by the army by 15 July, the coupists reasoned. In the 7 June 2015 general election the HDP won 16.3% and 80 in the 550-seat parliament but its vote fell to 10.75% in the November 2015 and they were left with 59 seats. A falling out with the PKK following the collapse of their ceasefire with Erdoğan in late July 2015 and a consequent shift of the more conservative Kurdish voters to the AKP and the leftist youth to the PKK are blamed for this. What ISIS are creating cannot be described as a nation or indeed any modern version of a state; the Islamic State is a vile reactionary utopia and has no legitimate right to self-determination. And the US proxy nations, Saudi Arabia, Qatar and Turkey and even Israel still support and supply them, because, though the US is at war with them now, they are an insurance policy for US imperialism and they may come in useful later in deposing Assad and even the Iranian regime. Both regimes in Syria and Iran still reflects the anti-imperialism of the Syrian and Iranian masses, the working class and poor peasants, in however distorted a way. Regime change in Syria, Iran and then Russia and China remains the geo-political strategic goals of US imperialism and its European and Japanese allies, whatever temporary diversions may occur and however reluctant these allies might be at times. Since that statement over a year ago the YPG in Syrian Kurdistan has become even more the foot soldiers for the US against ISIS in the region and, after the rapprochement with Russia and Syria by the Turkish government and the failed coup of 15-16 July, may pay a heavy price for that alliance with the US; a joint assault on them by both Assad and Turkey is now in the offing which Russia will be obliged to support or at least ignore to prevent the setting up of permanent bases against themselves in Rojova. The conflict in the region seems to have no end, but it is changing form rapidly. July 15th coup attempt was not a confrontation between ideologically conflicting centres, but involved at least two and even more state cliques with identical class identities and ideologies. It is not possible that these cliques would be totally unaware of each other’s plans and actions just as it is not possible to tell one clique from the other. That most of the officers who participated in the coup attempt are mostly Gülenists and that Gülen movements has close connections within the US are facts. The thought that a coup will not take place in Turkey without U.S.’s approval as Turkey is a close military partner of U.S. as a NATO member is correct to a large extent. The main reason behind most of high ranking officers of the Turkish Armed Forces who are frustrated with AKP not attempting a coup is due to the support US administration has lent AKP. So the US supported both the coup (‘to a large extent’ i.e. maintaining deniability if the coup should fail) but also supported the APK against it we might speculate at least to the extent of encouraging some senior officers not to join. So is the US guilty or innocent? You pays your money and takes your choice. Of course the “interests of the people” is the traditional Stalinist abandonment of class politics; the cross-class fudge that obscures the specific interests of the global working class since the adoption of the theory of the Popular Front by Georgi Dimitrov at the Seventh Congress of the Comintern in 1935. Obviously the coup, if successful, would have been in the interests of some “people” and to the detriment of other “people” else why go to such trouble? And then to speak of “class fundamentals” having totally obscured them in the statement is simply hilarious. The defeat of the coup is of course a victory of sorts because it was defeated essentially by mass mobilisation. Of course Erdoğan, taking a leaf from the book of Joe Stalin, has now cracked down on “all who oppose us” right and left. The lynching of hapless young conscript soldiers by enraged Islamacist mobs is a very dangerous development for the left and civil society in general but they were not the only ones mobilised and that mass movement will be turned against Erdoğan in the medium to longer term. Certainly the left in Turkey are now in a better place than if the coup succeeded. The statement of the TCP casts doubt on that to appeal to the liberal Kemalists. It needed to be understood one more time that how the enmity of “organising” created a gap at the people’s side, where the Gülen Community gangs which placed into the government, the interest groups, the triggers and even the mafia have been very well organised in the country. If we go further, we can say that everybody who are side with the humanitarian ideals, a classless society without exploitation must work together on the common minded, sustainable organisation. It is called as being an enemy to the people not doing it, legalising the carelessness and laziness. It is the necessity to organise, improve, and empower the class organisation which is free from the religious sects, fundamentalism, capital and imperialist centres. The ones who blessed the people’s not politicised reactions, unorganised masses, and the ones who aimed aimlessness and formlessness together with the expression of “Gezi pluralism” must have been learnt their lesson. If traditional Stalinism is based on Georgi Dimitrov’s Popular Frontism proclaimed in 1935 the more leftist version is based on the Third Period, that immediately preceded it. At the Sixth Congress of the Comintern in 1928 Stalin assured us the whole world was moving into a revolutionary situation with global economic collapse and mass radicalisation. This would force the masses to turn to the communists everywhere. 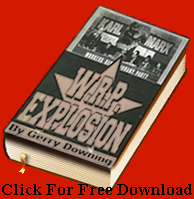 Gone now was the need for the Leninist United Front tactic, now communist-led red revolutionary trade unions were to be formed opposed to the existing reformist ones and the useless tactic of “boring from within” was to be abandoned in Socialism Democratic reformist workers’ organisations, now mass revolutionary parties would quickly be built in direct opposition to these. All forces other that the communists were just one variety or another of fascism; the Tory fascists, the Liberal fascists, the Labour fascists, the trade union fascists, the Trotskyist fascists, etc. The KPD’s refusal to recognise Hitler as the main danger and allying with his Nazi Brownshirts against the Social Democrats, whom they insisted were the main danger, was the crucial political diversion that ensured Hitler’s victory. This anti-theoretical religious child’s catechism rubbish is still visible today. Of course the APK are not fascists; there are real fascists in Turkey, the Grey Wolves, linked to the Nationalist Movement Party (MHP). They inflicted some 5,000 casualties on the left in the political violence from 1976 that led up to the 1980 coup. Neither is the MHP a fascist party, but a far right nationalist one with fascists within it. A fascist movement’s main goal is entirely to destroy the independent organisations of the working class, not simply to repress and harasses and kill. Leon Trotsky defined it thus: “The historic function of fascism is to smash the working class, destroy its organizations, and stifle political liberties when the capitalists find themselves unable to govern and dominate with the help of democratic machinery.” Mussolini did that in 1920, Hitler did it in 1933. Erdoğan has not done it and it is not his aim to do so. Comrades, it is not simply because we want to dig up the past that we speak of the causes of the victory of fascism, that we point to the historical responsibility of the Social Democrats for the defeat of the working class, and that we also point out our own mistakes in the fight against fascism. We are not historians divorced from living reality; we, active fighters of the working class, are obliged to answer the question that is tormenting millions of workers: Can the victory of fascism be prevented, and how? And we reply to these millions of workers: Yes, comrades, the road to fascism can be blocked. It is quite possible. It depends on ourselves-on the workers, the peasants and all working people. The coup’s failure did not only come about due to the AKP’s resistance. Opposition parties CHP, MHP, HDP; all civil society institutions, the press and society itself stood against the military coup and resisted it. An extraordinary Parliamentary meeting on 16 July made a stand against the coup and gained control over the situation … The vast majority of public opinion in Turkey opposed the coup and condemned it. It is meaningful and understandable that a society, which has suffered heavily due to coups in 1960, 1971 and 1980 acts like this. International public opinion also stood by the elected government and against the coup. The Kurdish population living under daily military persecution uniformly opposed the military coup and showed that they are against all forms of military intervention. Turkey is a country, which has serious problems regarding its democracy, in particular regarding the Kurdish question. Since 24 July 2015, the Republic of Turkey and the AKP government have waged a full-scale war against the Kurdish Freedom Movement and the Kurdish people. Analysing the coup attempt without taking this into account is not possible. In brief, this coup took place in a state, which for the past year has been constantly carrying out brutal attacks, most of which are war crimes, against the Kurdish people. The Turkish Army, which the putschist group was born out of, has been fighting the biggest war of its 95-year history and carrying out genocidal attacks against the Kurds. Therefore, the coup attempt grew out of an army that is currently waging a very unjust war against innocent people. But capitalist ‘democracy’ keeps capitalist exploitation in place, it allows more or less the penetration of transnational corporations from the US and Europe in to exploit the masses, and together with the oppression meted out by native capitalists provokes mass resistance, the very reasons for the coups of 1960 and 1980. We don’t think the current failed coup was caused by the war against the Kurds or geopolitical considerations alone but also by the perception of US and German imperialism that the advance of the People’s Democratic Party (HDP) in the 2015 elections, which raised the prospect of uniting the rights of the Kurdish people to self-determination with the struggles of the poor, oppressed and marginalised led by the working class in their trade unions threatened socialist revolution. Whatever the inadequacies of the HPD leadership, and they are many, raising the prospect of that united struggle brought into focus the prospect of the Trotskyist Permanent Revolution being implemented with all its revolutionary consequences. And that was also very much part of the reason for the coup, as well as the international geopolitical goals of US and German imperialism and its agents in Turkey, discussed above. The protests against the al-Sisi regime are currently led by the bourgeois-Islamist leadership of the Muslim Brotherhood. The RCIT does not support in any way the politics of this party. Quite the opposite, the RCIT supported the mass protests against the Morsi government on 30th June and before. These protests were progressive because the workers and poor fought for bread and democratic freedom against the bourgeois-democratically elected Morsi government. However, the military coup created a completely new situation. The army command takeover was thoroughly counter-revolutionary albeit it claimed to be related to the 30th June demonstration. In fact this claim was nothing but a fig leaf for the army command, the imperialists and the fulool (remnant of the Mubarak regime) to take power directly in their hands and to start an anti-democratic rollback. Of course the Benghazi rebels never led any kind of a revolution nor was any ‘revolution’ advancing in Syria, it was merely a legitimate struggle for democratic rights at the start, but such pragmatic accommodation to the facts from the CWI is the least we might expect from Marxists. The RCIT are even now supporting the ‘revolution’ in Syria. 27 Jun 2016 Turkey’s Kurdish question: Historic foundations and contemporary issues, https://amec.org.za/…/1483-turkey-s-kurdish-question-historic-foundations-and-contempory-issues. Socialist Fight, Have the PKK really changed or found a new way to capitulate to imperialism? « PORTO RICO: Defeat the colonial takeover imposed by the United States!